We bake our own fresh pita daily! Skokie is home to The Pita Inn Market, and The Pita Inn Bakery. In order to accommodate our growing customer base and the need for additional parking we purchased the shopping center located next to our Skokie restaurant- The Pita Inn Plaza. 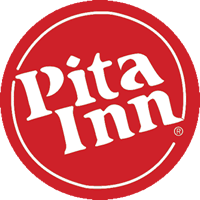 We realized that there was great demand for Mediterranean goods and high quality pita bread; therefore we embarked on opening the Pita Inn Market and Bakery in 1999. Today, our market is viewed as one of the cleanest and most diverse local groceries in the Chicago land area. Moreover, our freshly baked pita bread is sought after by many of our loyal customers all over the country. Fresh from our oven to our market and restaurants, Pita Inn bakery bakes the freshest quality pita on site. Despite the growing demand for our delicious bread, we decided not compromise the quality and freshness of our bread by selling to outside businesses. Today, Pita Inn bakery produce thousands of pitas each day as well as freshly made Spinach Pies, Meat Pies, Vegetable Pies, and Potato Pies. Stop by our store front and watch dozens of fresh pita being produced right before your eyes!